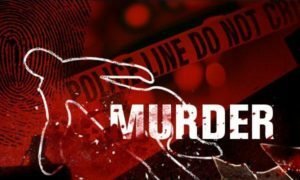 Pune 29 Jan 17 (PCP NEWS) : Solapur Police are now on second number in state, for enforcing MPDA after pune said Police Commissioner Mr Ravindar Sengaonkar here this afternoon. 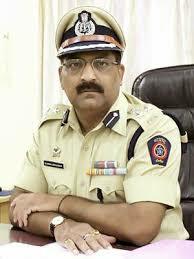 Sengaonkar, who is an IPS of 2001 batch, and known for his strict administrative working style, while speaking with PCP News Correspondent further said that, looking to the crime ratio of this city, i am trying my level best to curb crime, for this i had used various Laws as per the constitution, many criminals are been extern, besides this i had enforced THE MAHARASHTRA PREVENTION OF DANGEROUS ACTIVITIES OF SLUMLORDS, BOOTLEGGERS, DRUG OFFENDERS,DANGEROUS PERSONS, (MPDA) on 19 criminals, in which some of them are Black Marketers of Essential Commodities, which is the highest number after this act was tabled, said Sengaonkar. 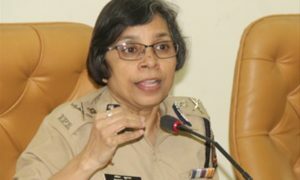 Sengaonkar, also mentioned that, this is also an History, that my both zones DCP and ACP Crime are women’s, Dcp Aparna Gite, DCP Purnima Chougale and ACP Sharmistha Walwalkar, with their help i am trying to give free and fair Law and Order to the citizens of Sholapur, since two days back we have arrested a gang of Chain Snatchers, where we had detected around 25 cases of Chain Snatching. I am also getting many suggestions from the citizens of Sholapur, which we are trying to implement after being verified said the Commissioner.